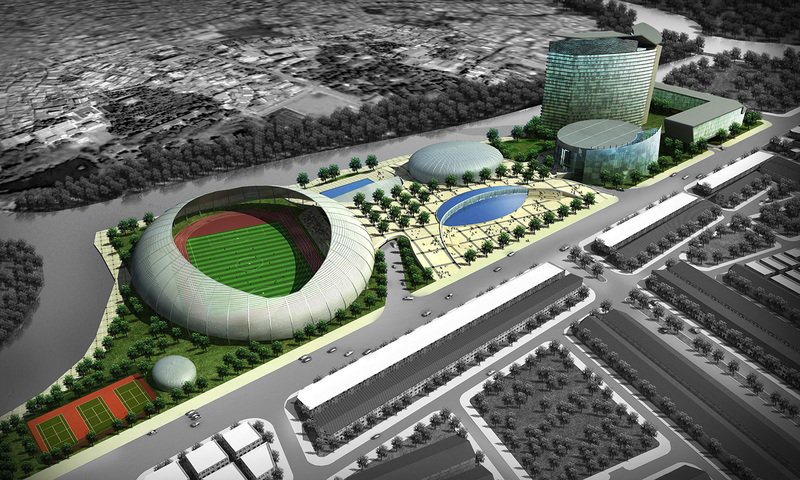 This Integrated Sports, Recreational and Convention Park is a focal public space of the KDC 6A development. 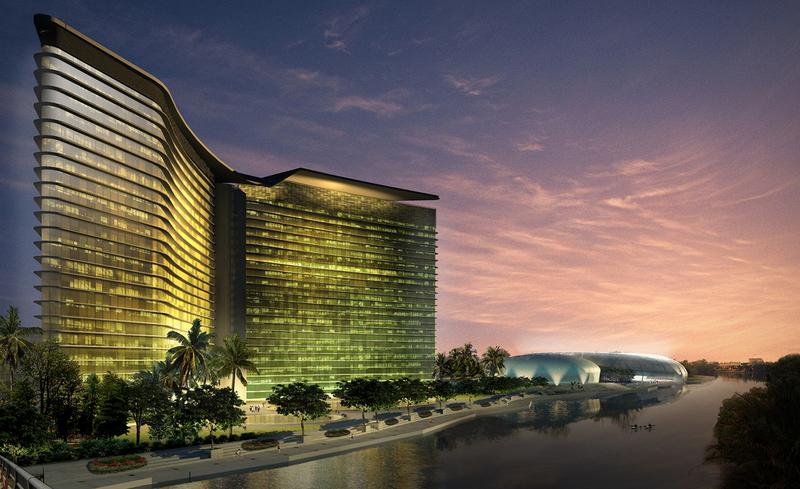 The north of the site is bounded by the Kenh Xang River; the south, Di Quan 1 Road and to the east and west, Duong Tinh Thai road and Song Ong Be River respectively. This prominent site marks the entrance to the development from the north from District 1 and 5. 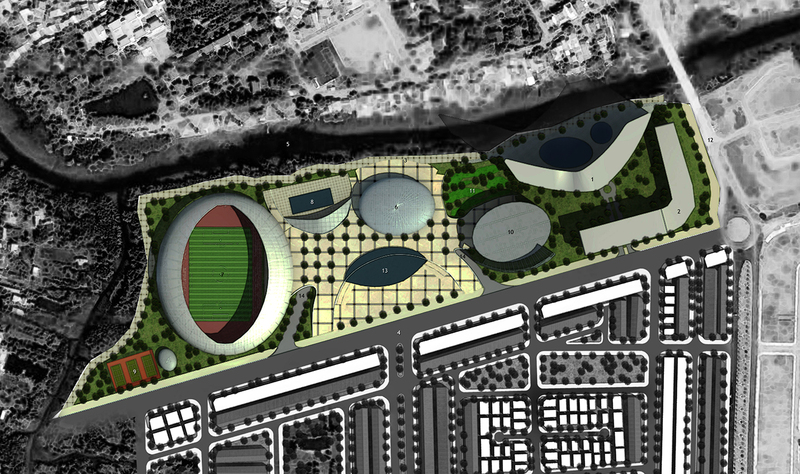 Zoned as a green area, the site provides an opportunity to create a landmark park that can serve as an urban relief both spatially and programmatically. 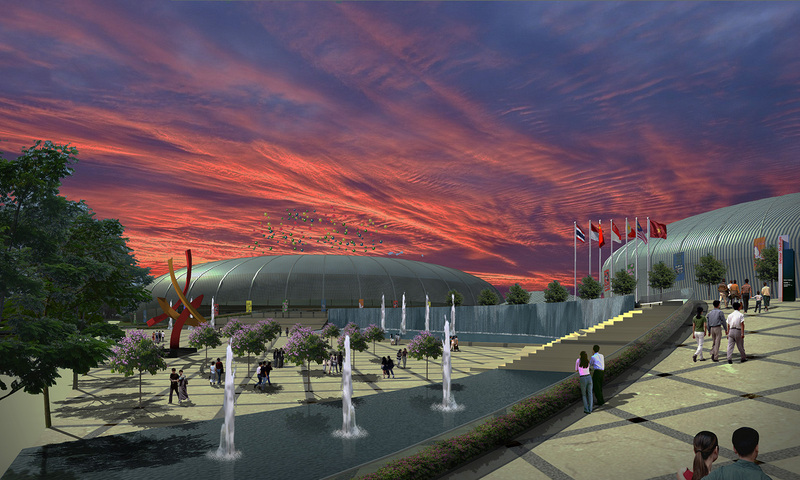 Main architecture buildings and features would be the grand stadium, swimming arena, civic plaza, convention centre and a 1200-room sports park hotel.